20% of women over 40 experience embarrassing leaks, and over half of all women experience stress incontinence at some time in their lives. Stress Incontinence or Light Adult Incontinence is a major health problem affecting millions of women around the world, and between 4 and 7 million women in the UK. One third of new mums can suddenly find themselves experiencing embarrassing urine leaks that happen when they cough, sneeze, laugh and exercise - playing with toddlers, trampolines and bouncy castles offer particular challenges. But by middle age, half of all women will suffer at some time because menopause leads to progressive weakening and atrophy of the vaginal muscles. The newly published clinical guidelines for the treatment of urinary incontinence in women (NICE CG171, Sept 2013) further highlight the scale of the problem, the cost to the NHS and the fact that, due to a lack of effective communication of the issues by the media and the medical profession, most women are in ignorance of the issues and suffering unnecessarily for very many years. “Urinary incontinence is an embarrassing problem to many women and thus its presence may be significantly underreported. In a UK community study, the prevalence of UI known to the health and social service agencies was 0.2% in women aged 15–64 years. Where the most inclusive definitions have been used (‘ever’, ‘any’, ‘at least once in the last 12 months’), prevalence estimates in the general population range from 5% to 69% in women 15 years and older, with most studies in the range 25–45%. “In adult women with UI, 60% avoid going away from home, 50% feel odd or different from others, 45% avoid public transport and 50% report avoiding sexual activity through fear of incontinence. Serious psychiatric morbidity has been reported in one-quarter of women attending hospital for investigation of UI. Contrary to popular myth, urinary incontinence is not a normal part of ageing. It affects women of all ages, and especially new mums. Because of the personal nature of the problem, and the belief that no help is available, many women do not report their symptoms to their doctors. The Bowel and Bladder Foundation research has indicated that women will suffer, on average, for 4 years before consulting their doctor and recent research in the US put the average delay at 7 years. Now NICE are saying that the UK average figure could be as high as 10 years. This is clearly unacceptable and the media and the NHS must take the blame for this. Yet today's health care professionals offer a number of treatment options for bladder control, such as pelvic muscle exercises, biofeedback, bladder training, and over 150 types of pelvic surgery. Doctors recommend pelvic floor exercises as the first approach to urinary stress incontinence. For most women, weak pelvic floor muscles are the real cause of poor bladder control and diminished sexual stimulation. Weak pelvic floor muscles are not normal at any age and may be reversed through simple exercise. 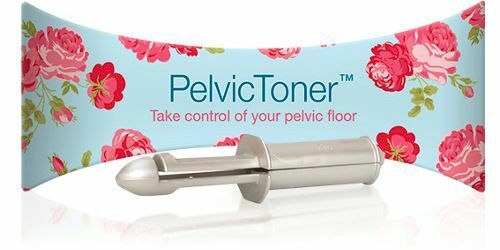 The PelvicToner offers a quick, simple and effective way to strengthen your pelvic floor in the privacy of your own home. The PelvicToner is so effective because it follows the proven approach outlined by Arnold Kegel in the largest clinical trial for the treatment of stress incontinence ever undertaken. For more information take a look at The Kegel Legacy available in the Shop priced £6.99. The PelvicToner has been very, very useful for women young and old. Gladys was in her 60's and the PelvicToner changed her life. Take the pills or go under the knife? Many doctors chose to ignore the use of pelvic floor exercises and prefer to test out the many new drugs that 'big pharma' is developing for this highly lucrative market. We suggest you search the internet discussion forums to get user feedback before you go down this route. While you are searching the internet you may also look up the hundreds of surgical interventions that you can try. In particular, take stock of the number of compensation cases (Class Actions) that are in progress worldwide for the most popular operations - those involving Trans Vaginal Tapes (TVT) and meshes. The BBC Radio 4 programme Face the Facts (22 January 2014) was devoted to the women suffering a lifetime of pain and misery following the insertion of these materials. It was astonishing to hear that these products can be introduced without any human clinical trials and a minimum amount of testing and registration. We are attempting to offer you a link to the programme podcast.